Those watching the oil space know that prices for the fuel have been volatile since they soared past $140 per barrel in 2008. Prices have plunged since then, but in 2016 sentiment in the sector was boosted when OPEC and 11 other producers made a deal to cut oil output. In early 2018, a production shortfall in Venezuela and US sanctions against Iranian exports increased fears of a global oil shortage. The reduction in supply prompted Russia and Saudi Arabia to ramp up production to ensure a shortage did not materialize. Analysts believe demand for oil will not slow any time soon, but remain cautious; in fact, British bank Barclays (LSE:BARC) recently adjusted its oil price outlook to reflect higher prices. “Oil prices have gained for most of 2018 on tightening supply and strong demand but investors fear a decision by [OPEC] to increase production may dampen price gains and offset production losses in countries including Libya,” the report states. There’s no question that those circumstances have left many market participants cutting bullish bets on oil. However, some still believe now may be the perfect time to get involved in the oil market. With that in mind, the Investing News Network has put together a brief how-to guide for investing in oil. Those interested in investing in oil have various options, from direct methods like purchasing oil futures, which are high risk and highly volatile, to purchasing lower-risk energy sector exchange-traded funds (ETFs). Those include the iShares Global Energy Sector ETF (BMV:IXC), or mutual funds like the T. Rowe Price New Era Fund (MUTF:PRNEX). Futures trading requires due diligence, and can be difficult for the average investor to understand. But for those in the know, here are some futures contracts offered on the NYMEX: Light Sweet Crude Oil, Brent Crude, E-mini Crude Oil, the Crude Oil Volatility Index (INDEXCBOE:OVX) and RBOB Gasoline. As mentioned, ETFs are a great way to invest in the sector at a lower risk. That’s largely because they allow investors to gain exposure to a diversified portfolio while only having to track a single stock. Besides the iShares Global Energy Sector ETF, other oil ETFs include: the United States Oil Fund (ARCA:USO), the United States Brent Oil Fund (ARCA:BNO), the Energy Select Sector SPDR (ARCA:XLE), the United States 12 Month Oil Fund (ARCA:USL), the PowerShares DB Oil Fund (ARCA:DBO), the United States Gasoline Fund (ARCA:UGA) and the SPDR S&P Oil & Gas Explore & Product (ARCA:XOP). Of course, there’s also the option of investing in oil exploration, development and production companies. CommodityHQ has recommended a number of major companies, many of which offer strong dividend options and have high liquidity, such as ExxonMobil (NYSE:XOM), BP (NYSE:BP,LSE:BP), ConocoPhillips (NYSE:COP), Transocean (NYSE:RIG) and Anadarko Petroleum (NYSE:APC). Similarly, Keith Schaefer, editor and publisher of the Oil and Gas Investments Bulletin, has highlighted some smaller oil companies that he believes investors should keep an eye on. Those are: Resolute Energy (NYSE:REN), Cardinal Energy (TSX:CJ) and Select Sands (TSXV:SNS). Darrell Bishop, head of energy research of Haywood Securities, has also discussed his favorite energy stock picks. 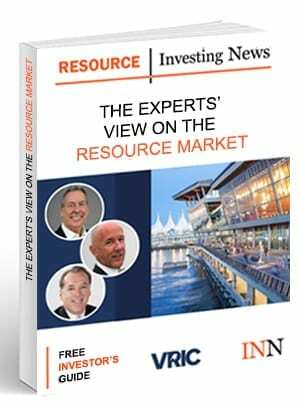 Bishop, who is positive about Canada’s potential, suggested investors watch out for Blackbird Energy (TSX:BBI) and Parex Resources (TSX:PXT). Get the latest information about companies associated with Oil Investing Delivered directly to your inbox.